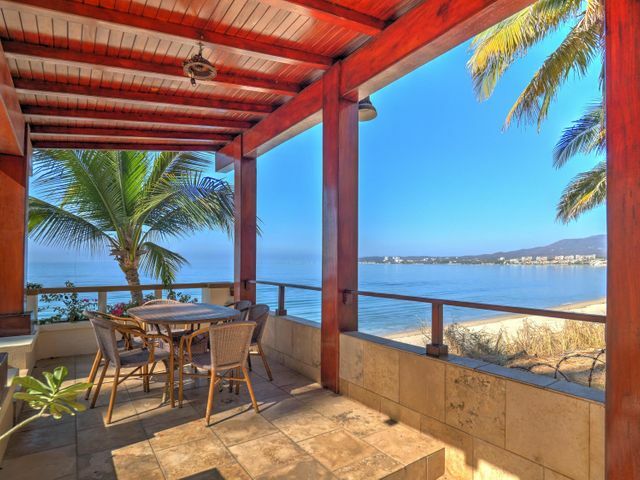 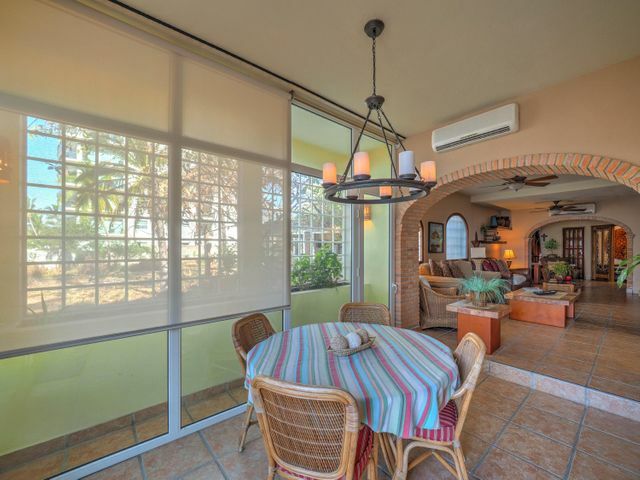 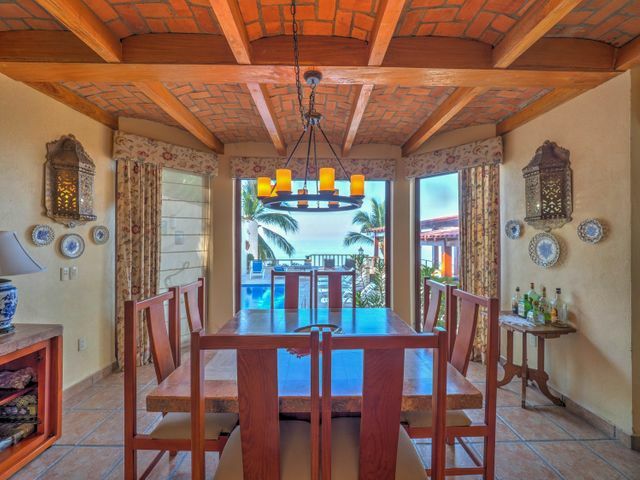 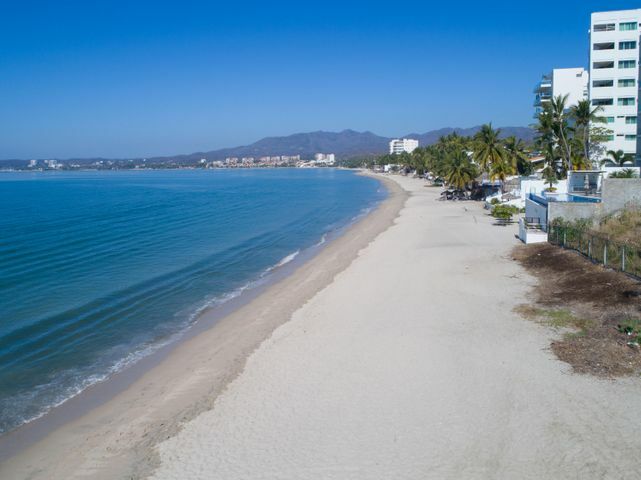 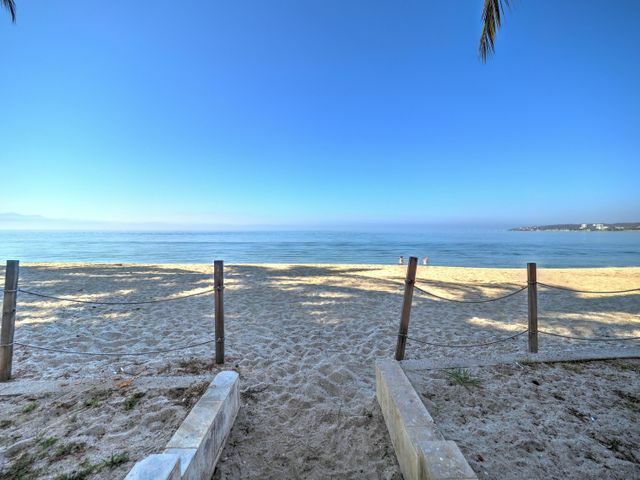 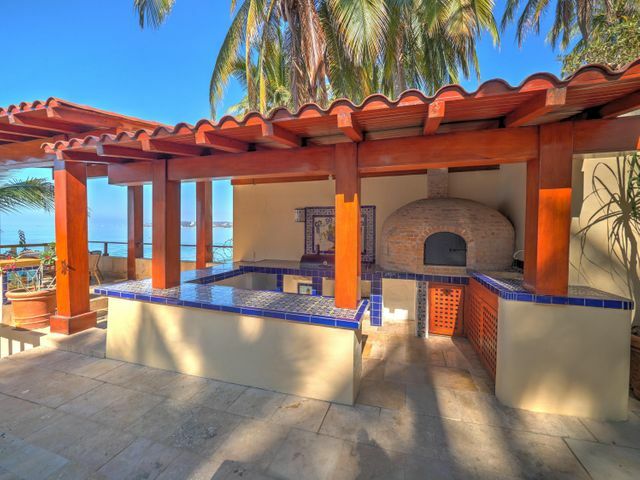 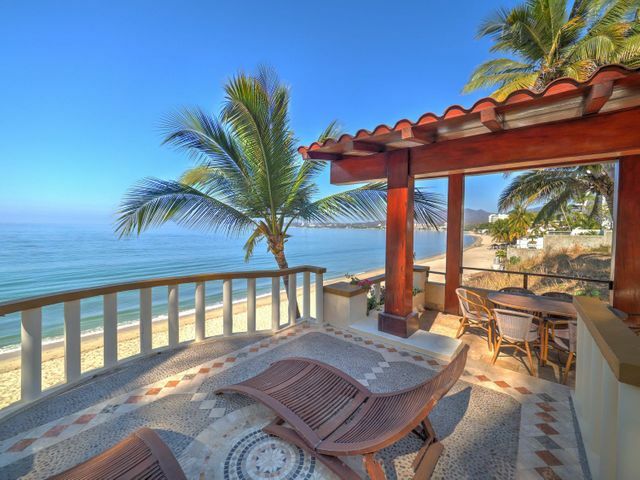 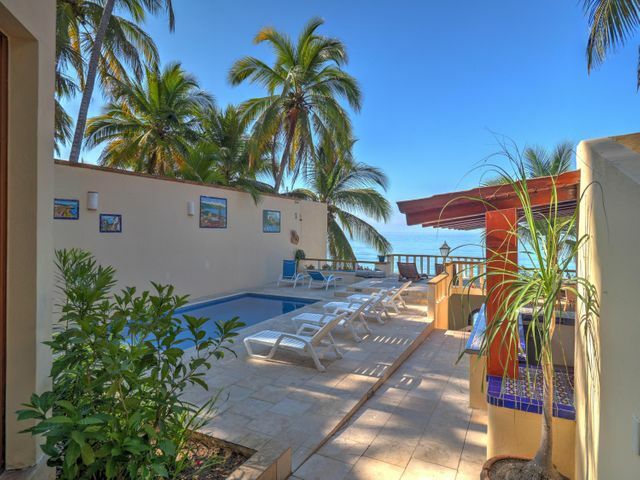 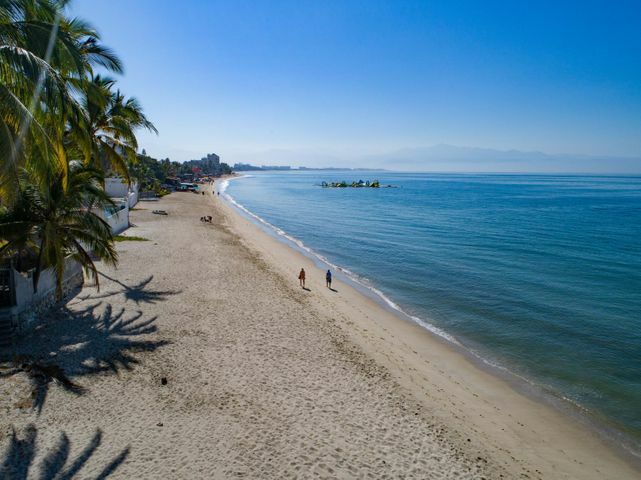 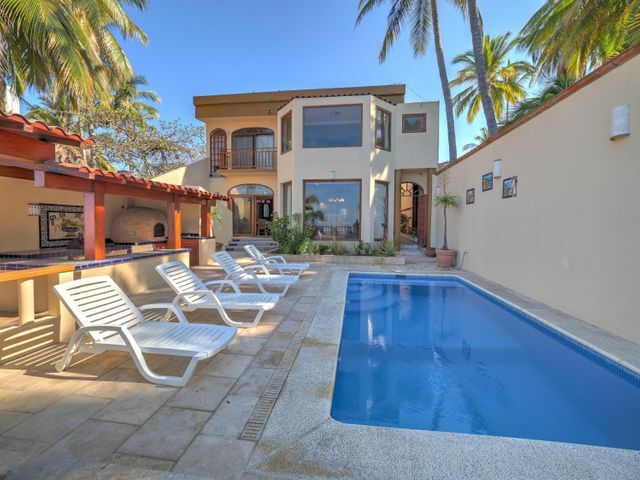 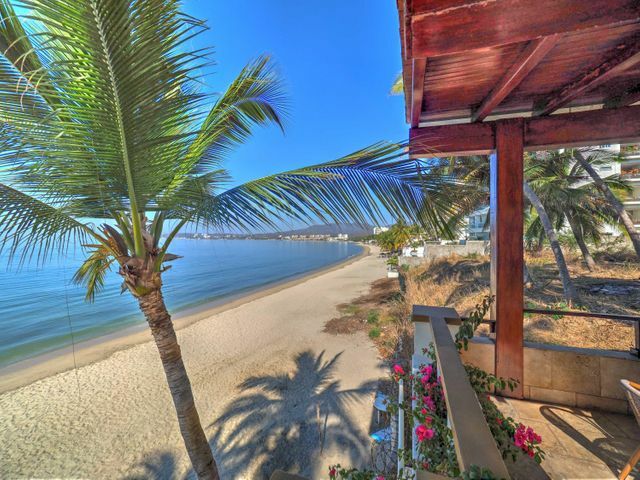 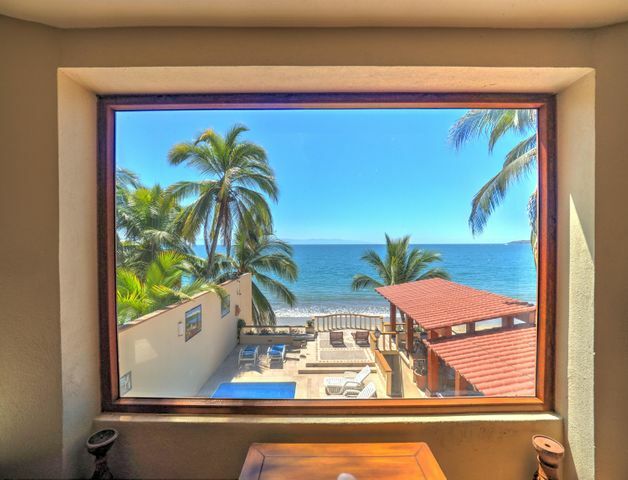 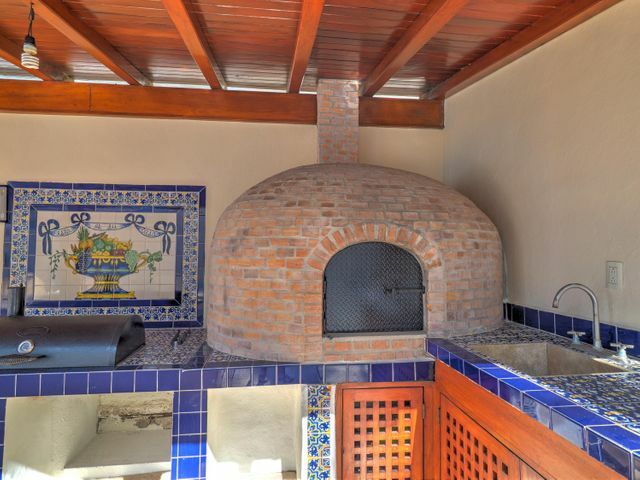 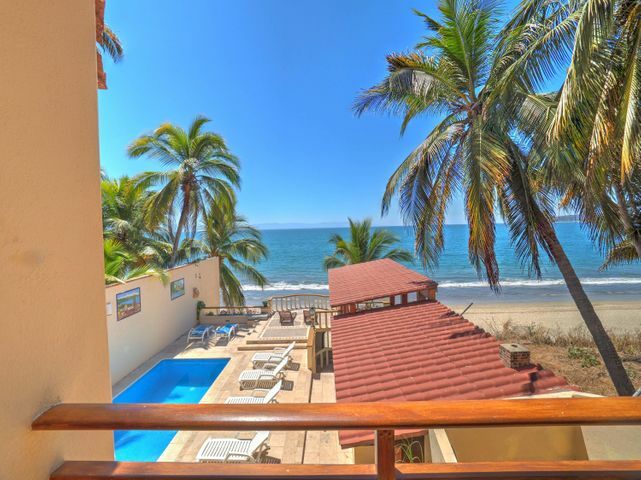 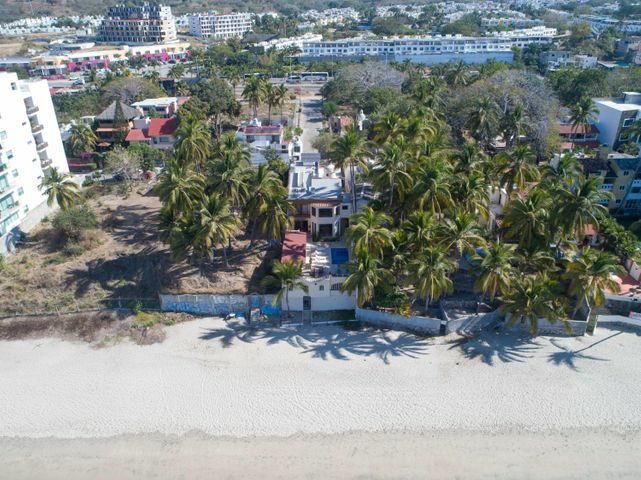 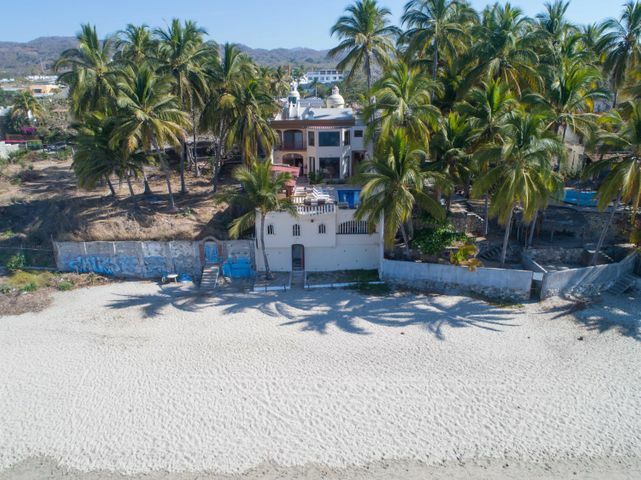 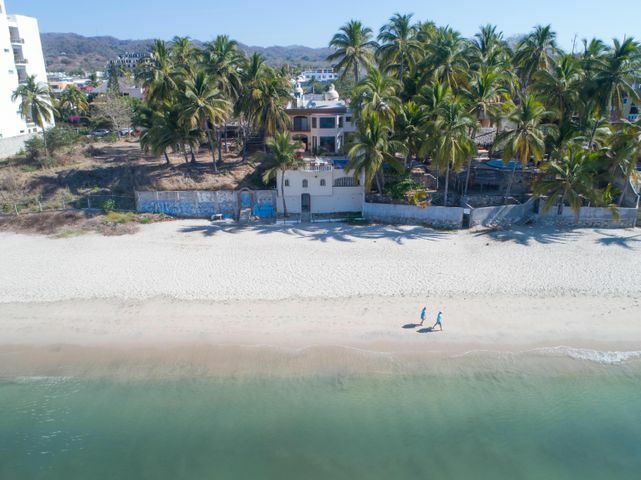 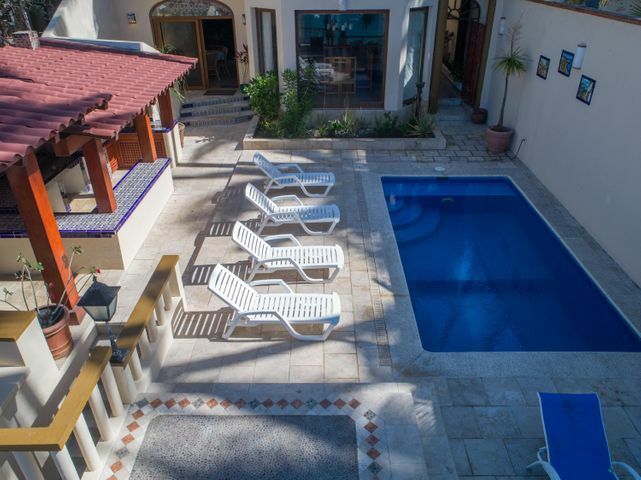 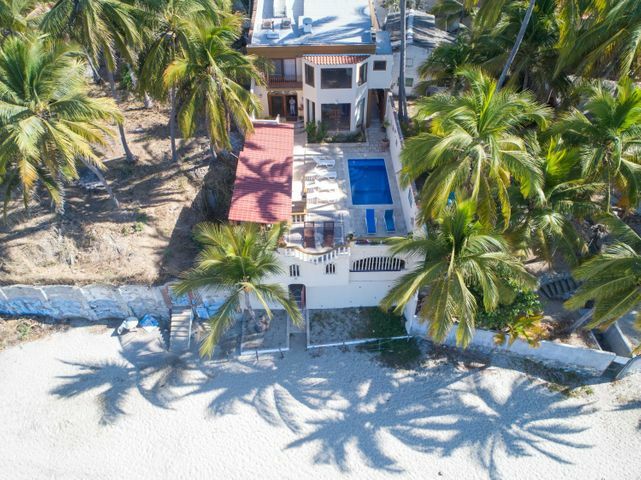 Right on the beach front of Bucerias a great private home, featuring a pool, gorgeous outdoor living area with sitting, lounging areas, pergolas, and outdoor kitchen, with amazing views, BBQ and pizza oven. 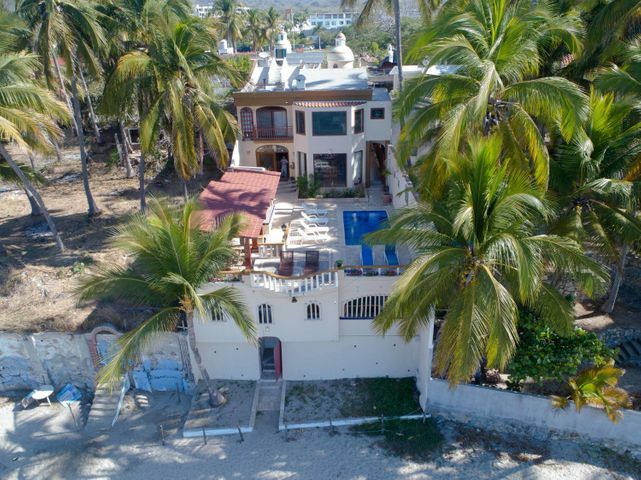 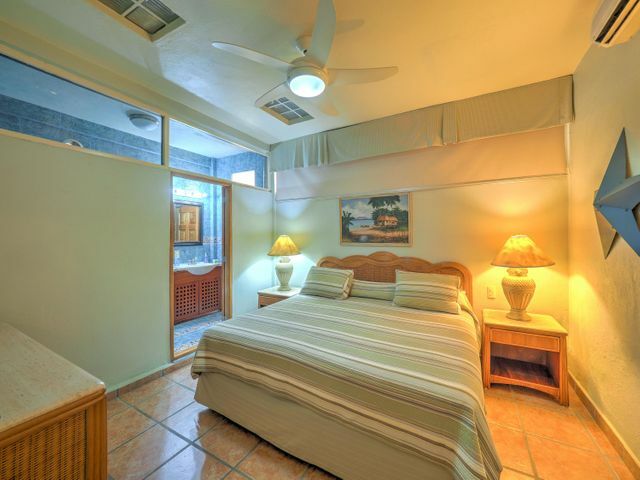 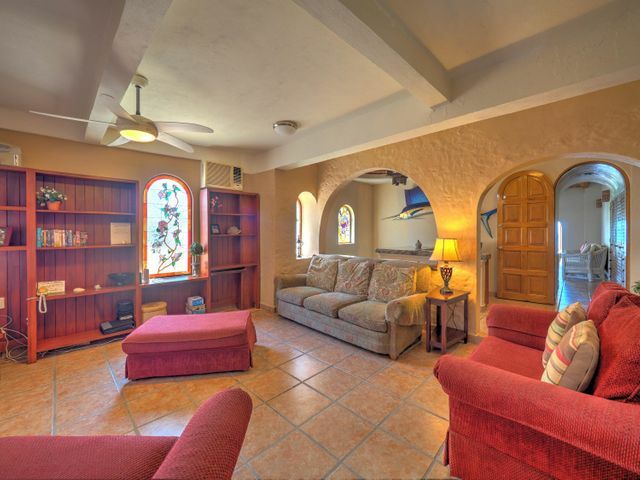 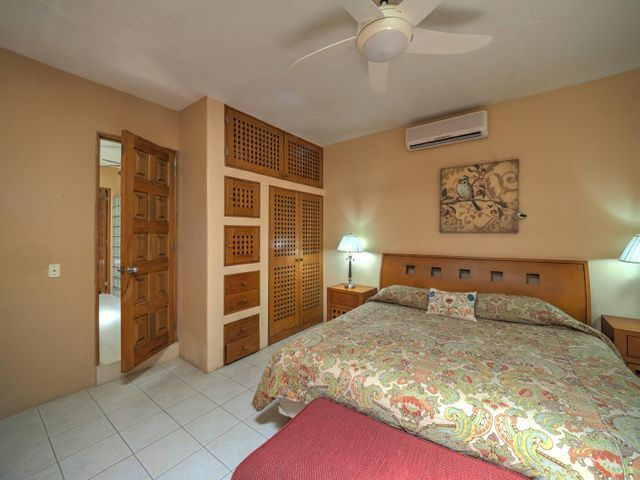 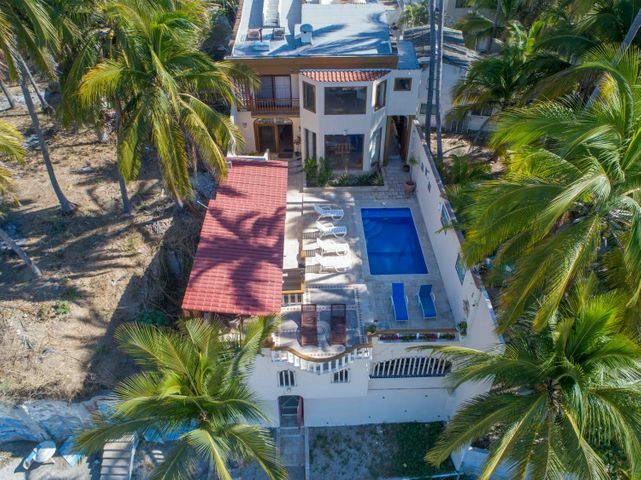 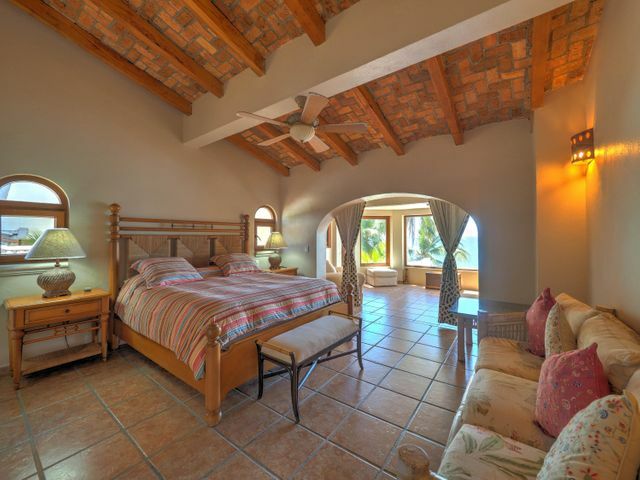 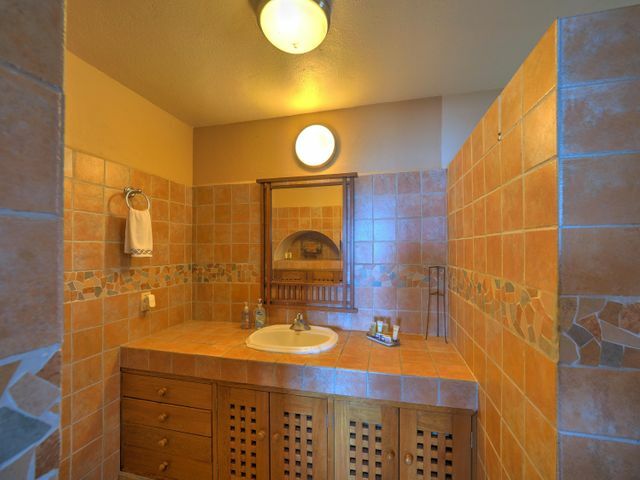 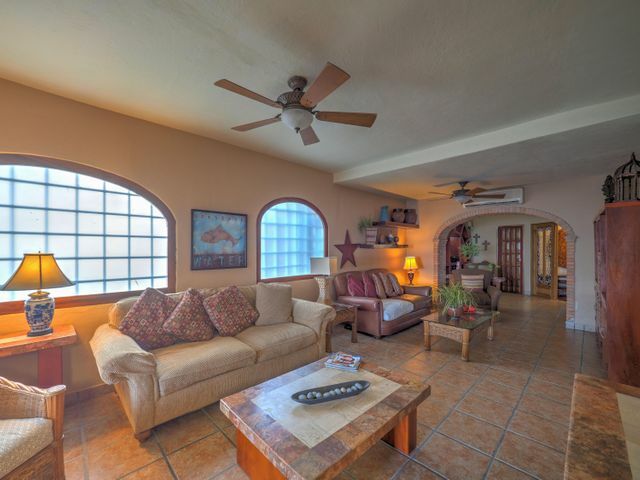 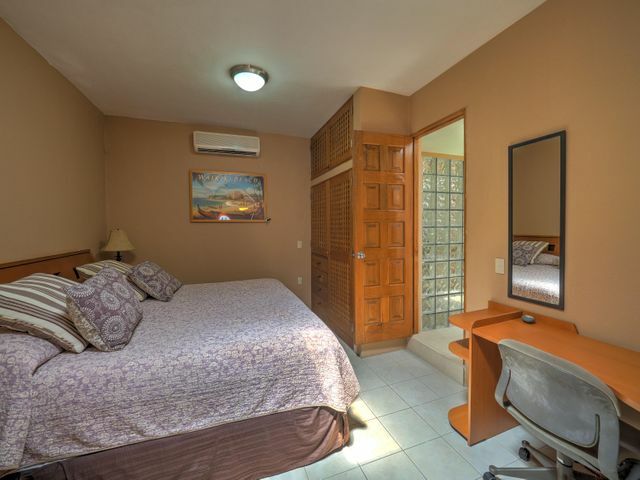 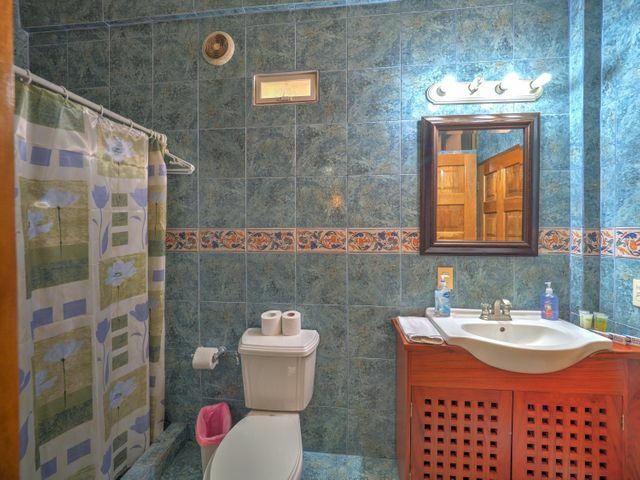 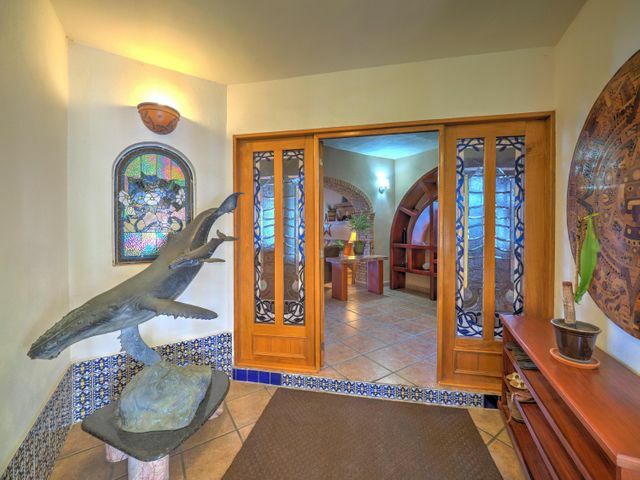 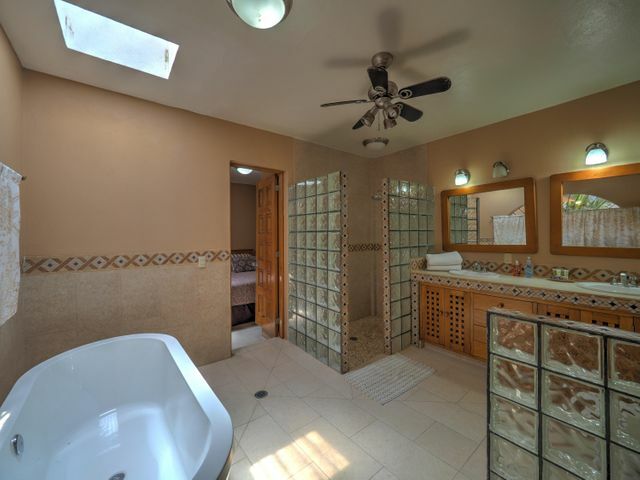 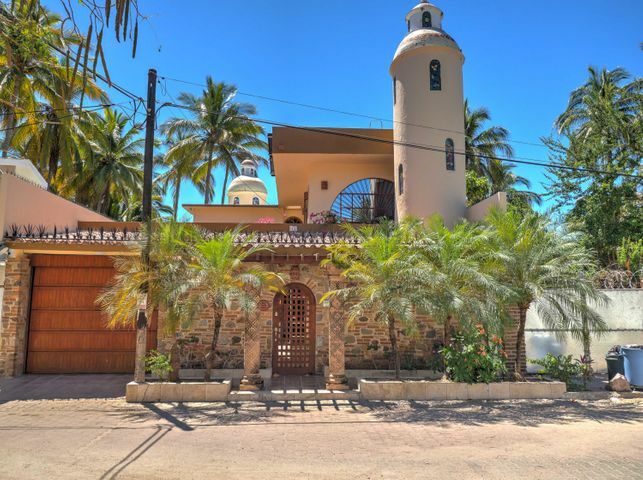 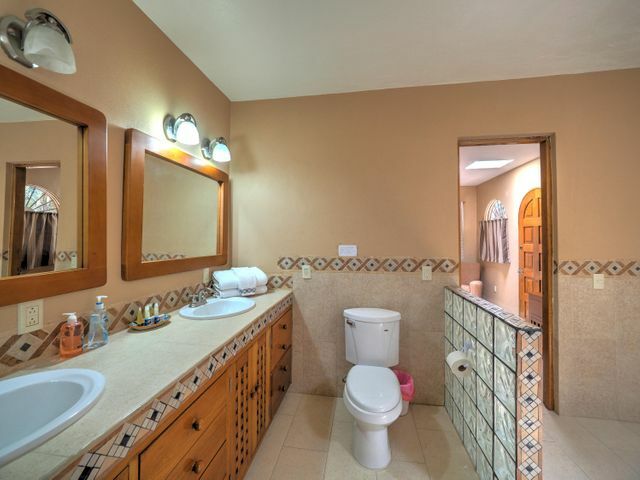 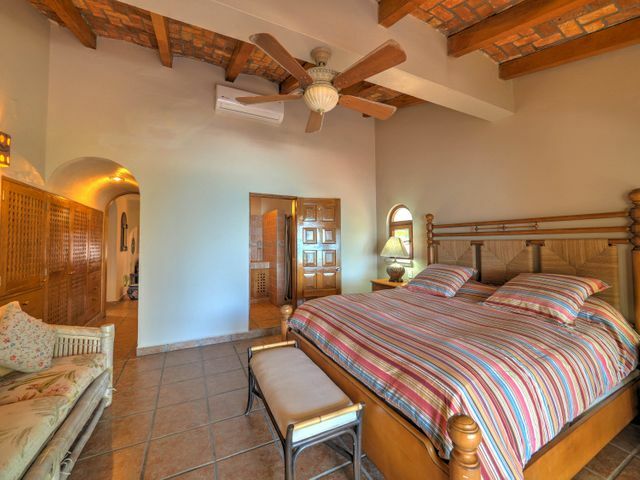 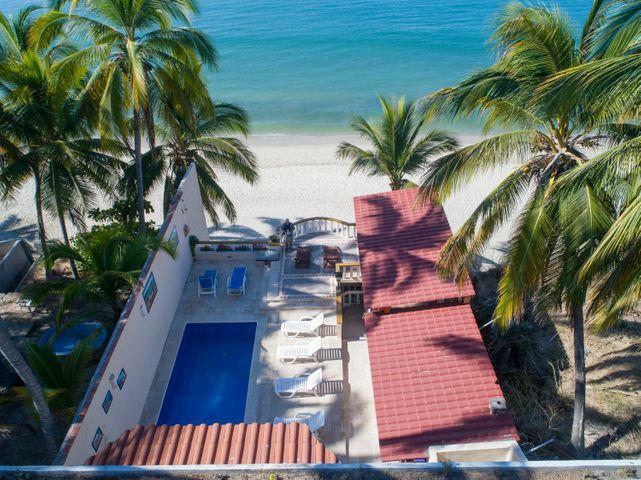 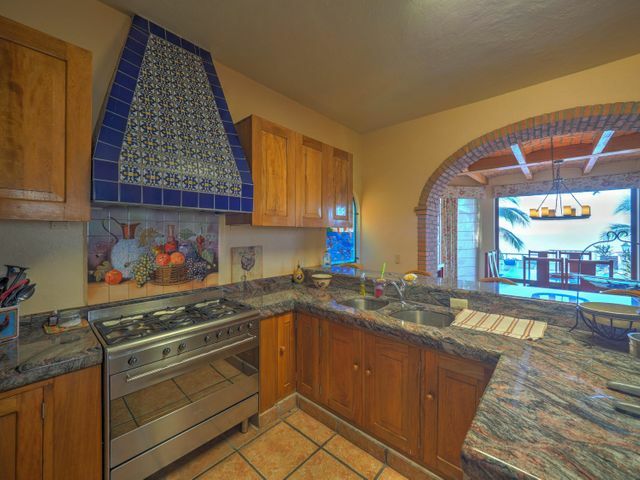 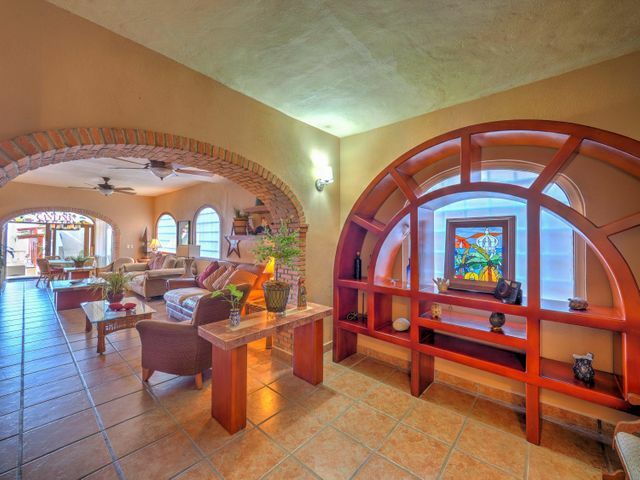 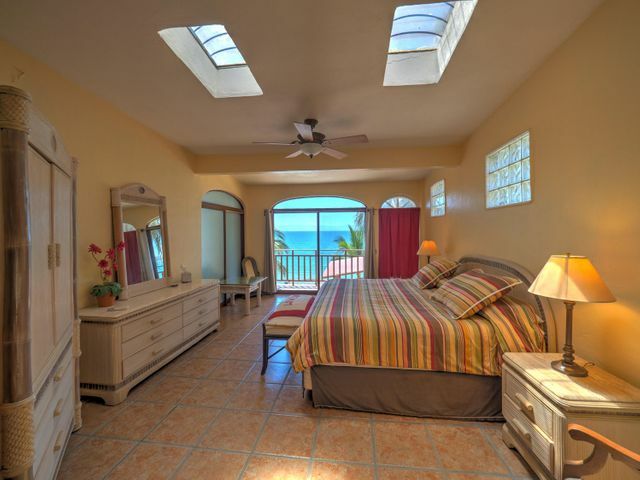 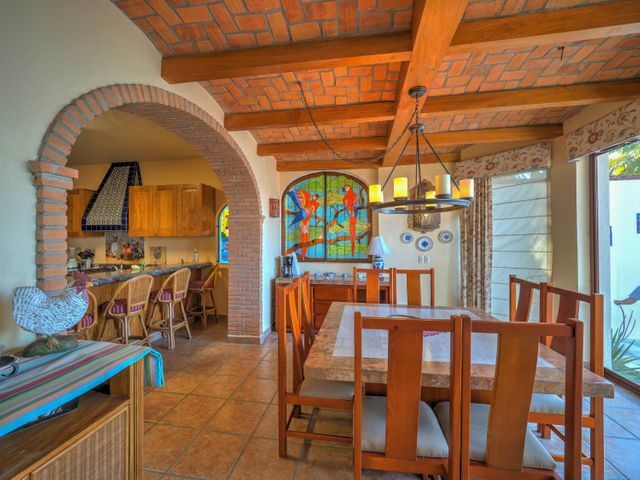 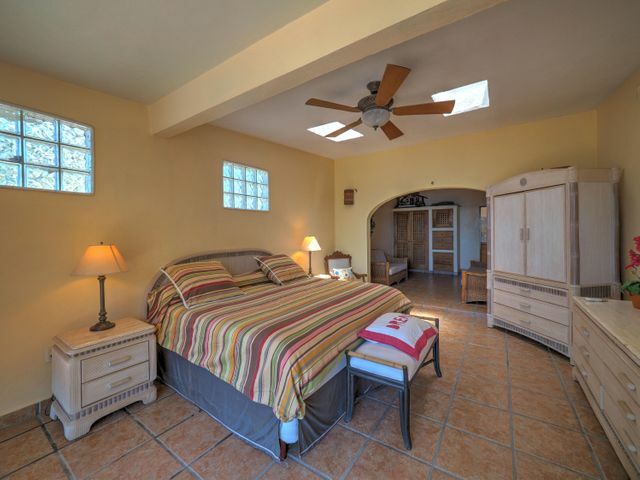 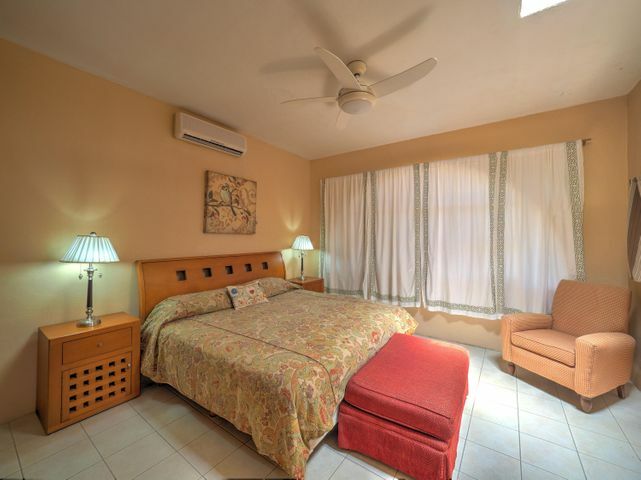 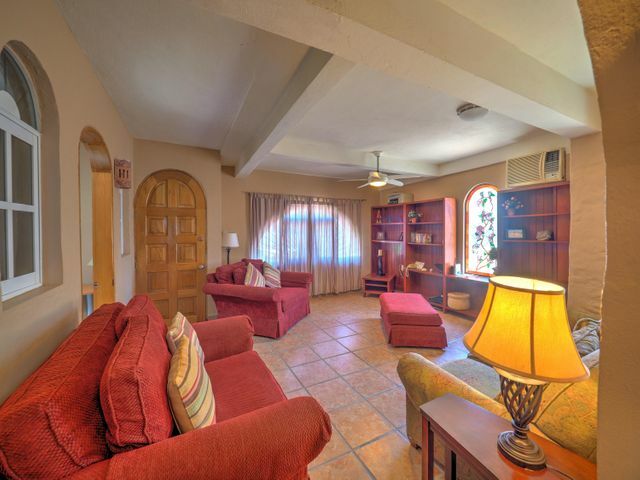 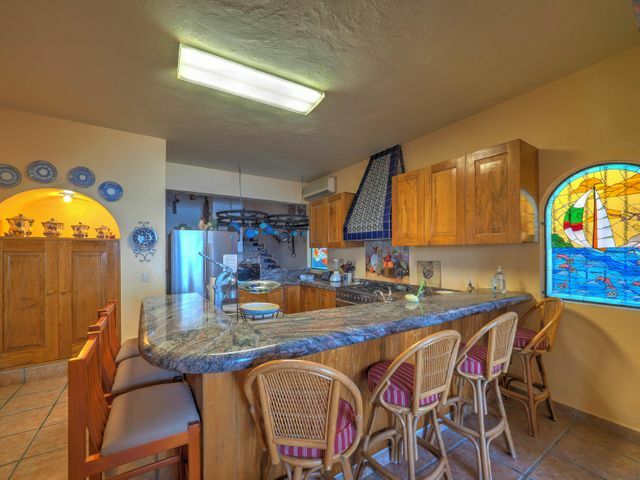 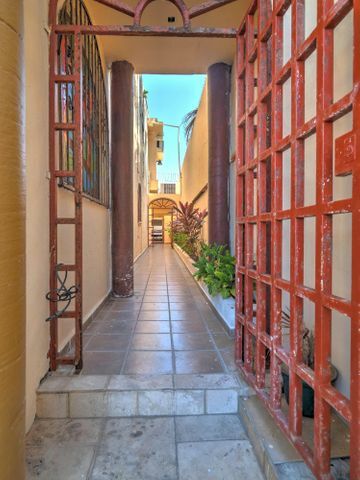 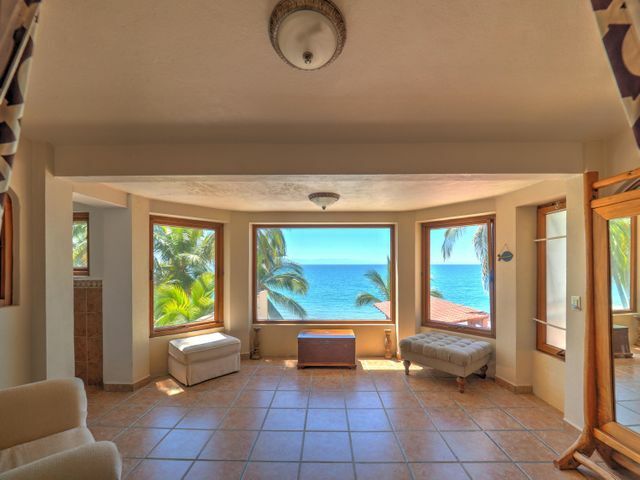 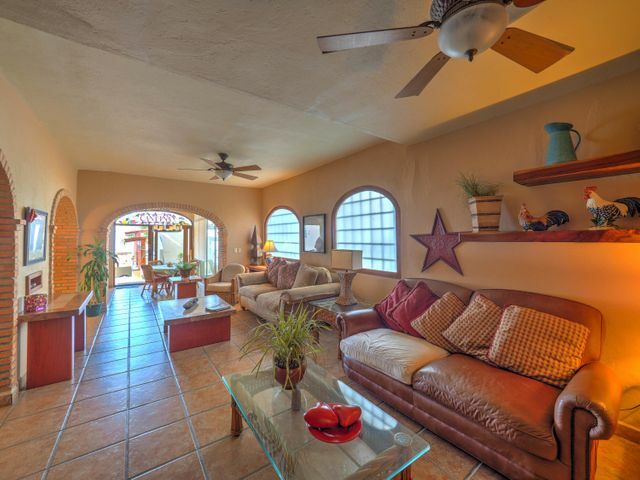 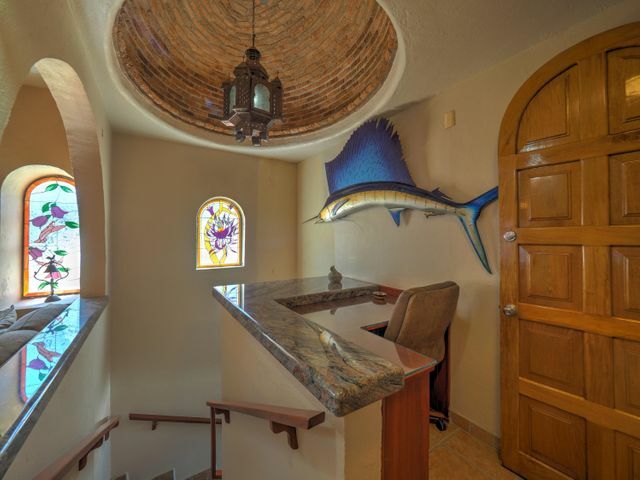 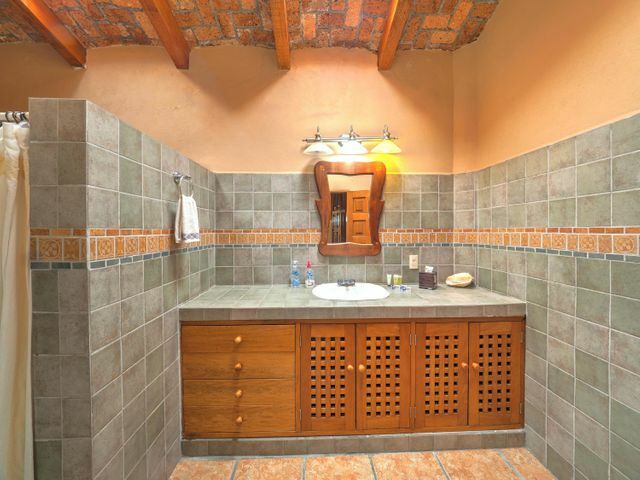 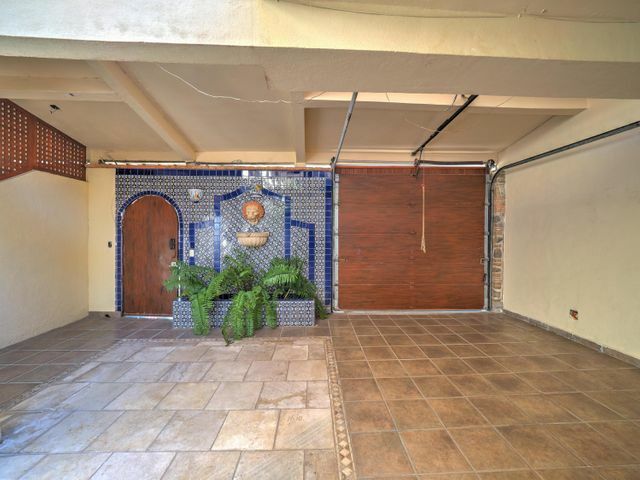 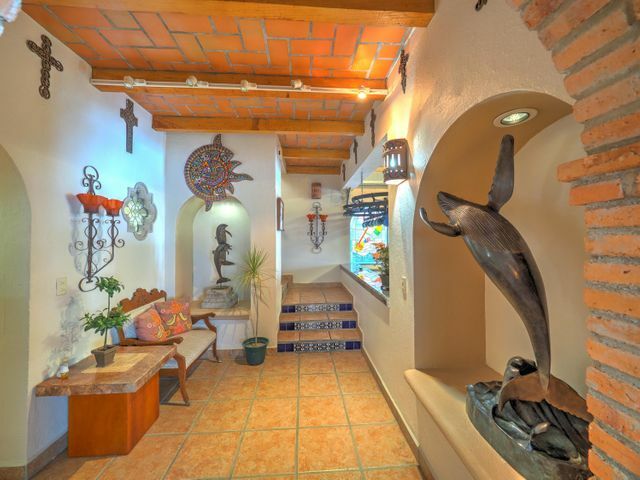 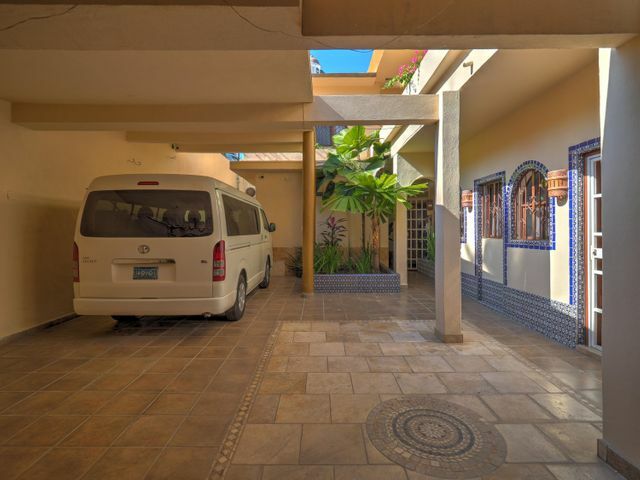 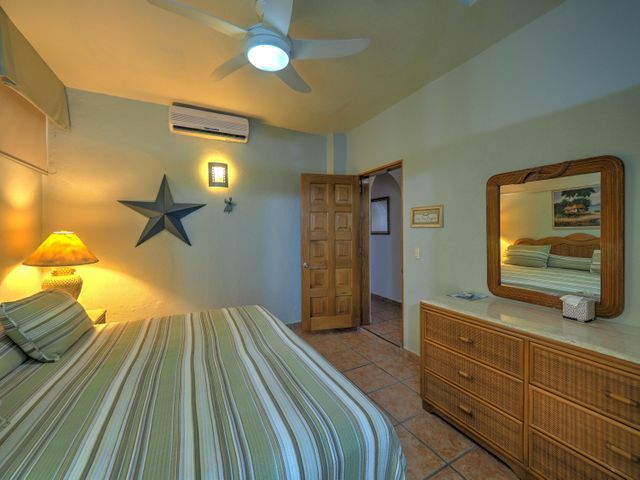 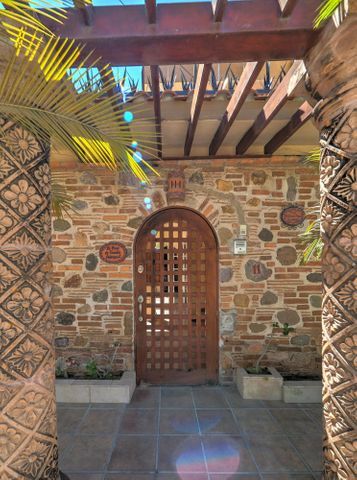 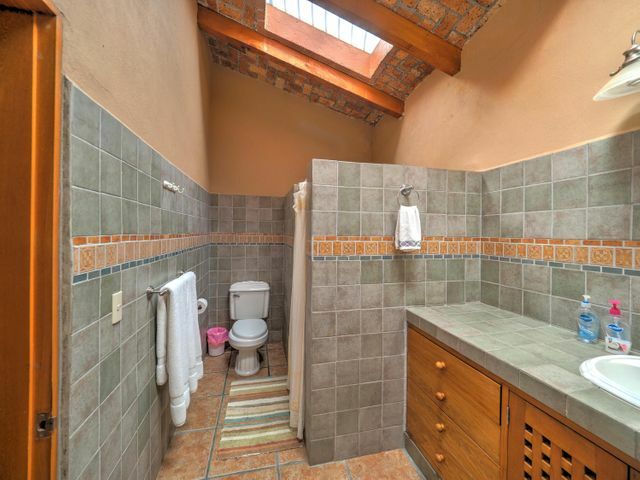 Private & direct access to the beach front, close to services in the town and easy to access to and from the main Highway 200; drive in 2 car garage; Mexican Pacific design with cupulas; 5 bedrooms, TV/den, 4.5 bathrooms, with a separate maid's quarters with kitchen, full bath and laundry area. 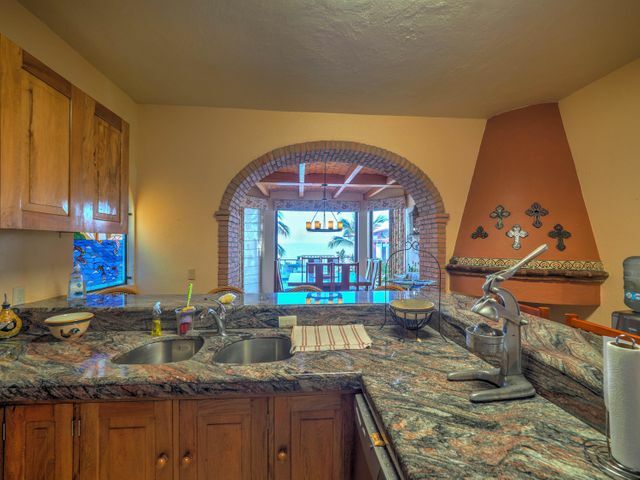 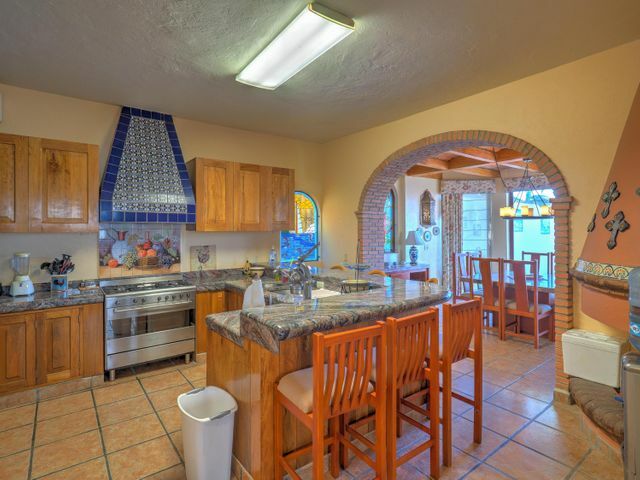 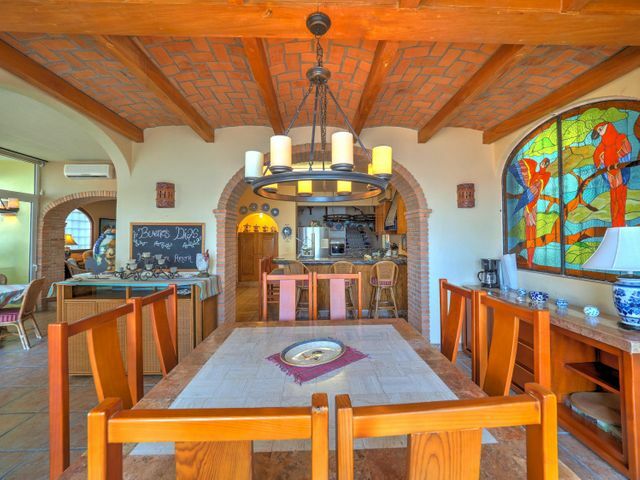 Stained glass windows throughout the house; fully equipped gourmet kitchen, granite counters and eating bar plus large spacious family dining room. 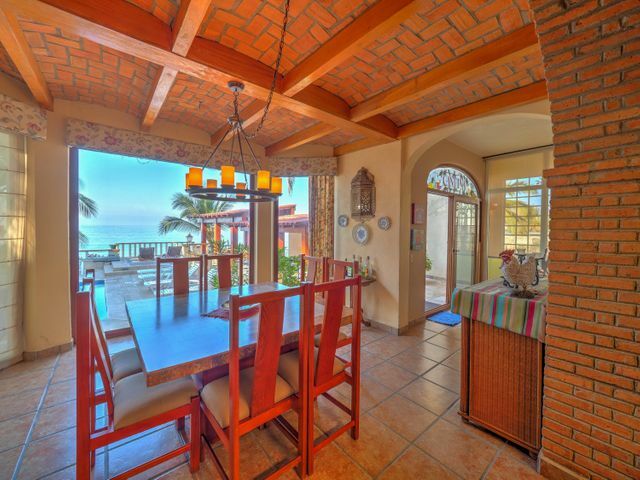 Adjacent Sun room area for breakfast dining. 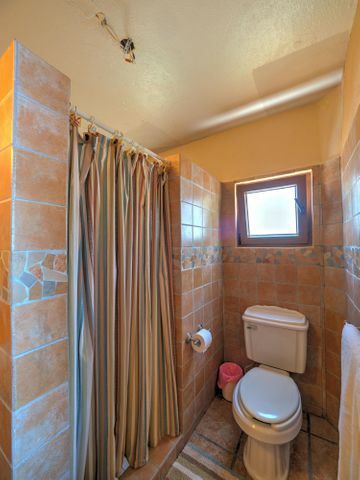 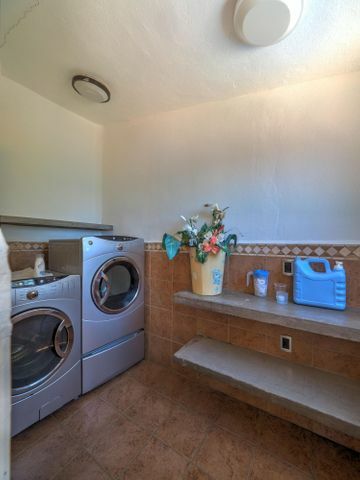 Great rental history.